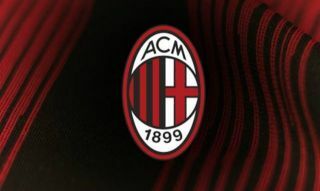 AC Milan have reportedly received a transfer boost for rumoured target and Flamengo starlet Lucas Paqueta as he has been tipped to leave the Brazilian outfit. The 21-year-old has been earning plenty of praise in his homeland and has enjoyed an impressive season to date having scored six goals and provided four assists in 28 appearances. That form has seemingly attracted the attention of several top clubs in Europe, with Calciomercato reporting that Milan, Man Utd, Juventus and Paris Saint-Germain are all keen on the Brazilian starlet, who has a €50m release clause in his contract. However, it’s now added that Flamengo vice-president Ricardo Lomba has opened the door for an exit from December onwards, and so it remains to be seen whether or not any of the interested parties touted are able to reach an agreement on a transfer fee for the talented youngster. Further, it also remains to be seen which potential destination is the most attractive to Paqueta himself, as he seemingly has the pick of the top European leagues, albeit with differing chances of playing a key role immediately. With a lack of quality creative class in the Milan midfield through the middle, aside from Giacomo Bonaventura, the Brazilian ace could be an ideal addition for Gennaro Gattuso to add another option, while Paqueta has his entire career ahead of him still to improve and develop his game. In turn, a swoop from Milan would make perfect sense. Nevertheless, albeit Jose Mourinho, Thomas Tuchel and Massimiliano Allegri all have world-class options at their disposal in that department already, they may not want to miss out on such a quality talent if the opportunity presents itself. With that in mind, despite an exit seeming more likely which is a boost for Milan, they could yet face a real transfer scrap to land the signature of Paqueta next year.